November 2015 – The climb up lofty Mt. 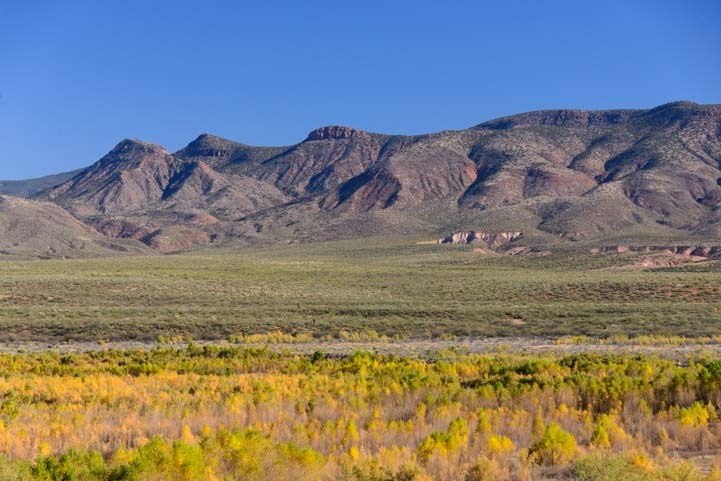 Graham in southeastern Arizona had given us some beautiful autumn colors, and we were treated to even more as we drove our RV into central Arizona. Colorful trees stood alongside the rivers, streams and washes. 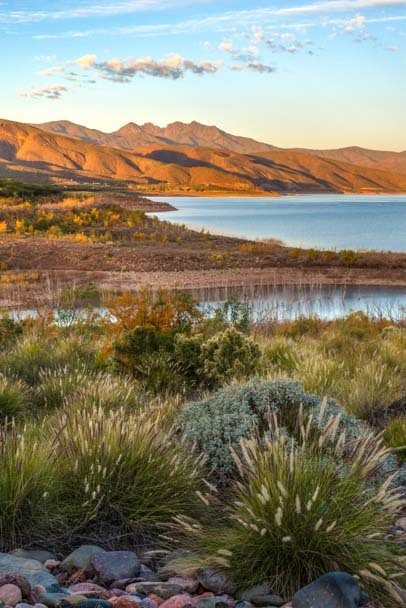 We scooted along Route 88 to Roosevelt Lake and did some exploring along the shores of this beautiful body of water, the largest lake in the middle of the state. 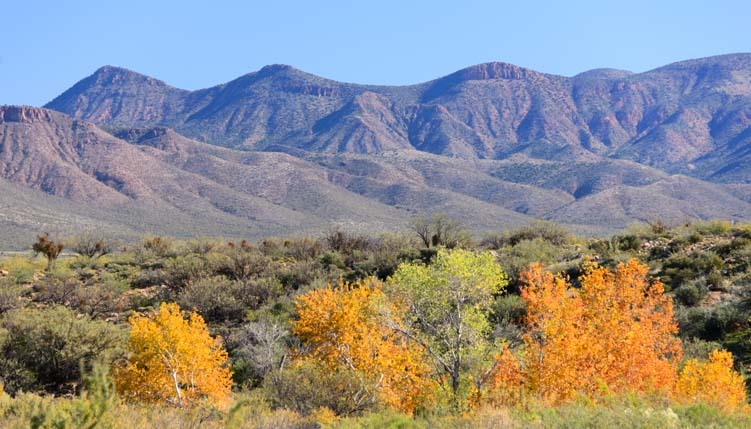 We had arrived at the peak of the Sonoran Desert’s fall foliage season. 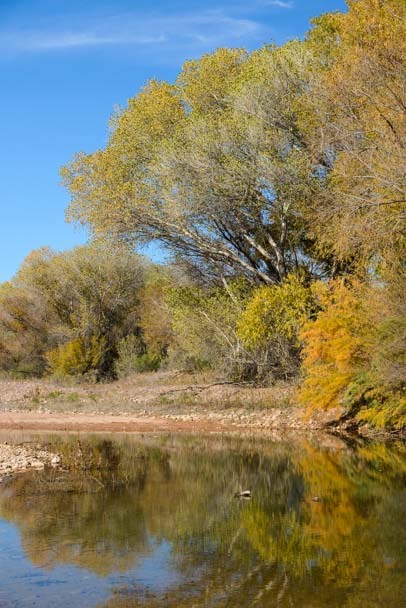 It may not seem possible that a desert would have a fall foliage season, but the Sonoran Desert’s wetland areas along streams and washes (called “riparian” habitats) are loaded with wonderful sycamores and cottonwoods that turn vivid yellow and orange come fall. 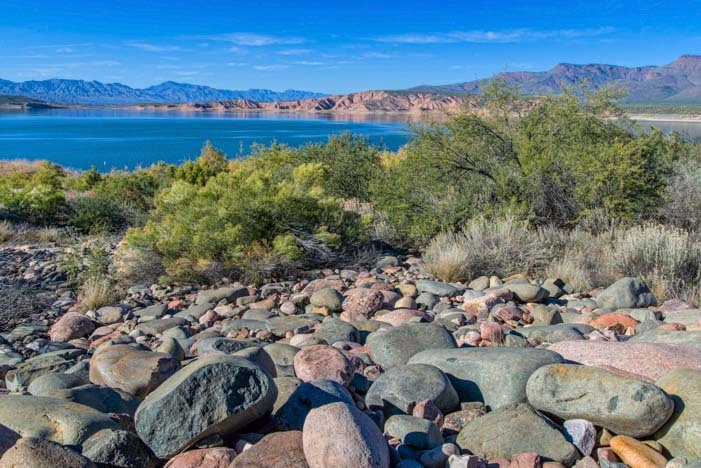 Roosevelt Lake was created in 1911 by damming up the Salt River, and the water level rises and falls. Right now it was very low — the lake was just 40% full — and yellow trees filled an area that at times has been filled with water. Golden trees fill the void while the lake is down. We found lots of rounded, smooth rocks along one part of the lake. Even where the colors were muted, little bits of autumn flame peeked through, and the colors in late afternoon were just gorgeous. Fall colors reflected in the water. Compare this to the previous pic – Lighting is everything! 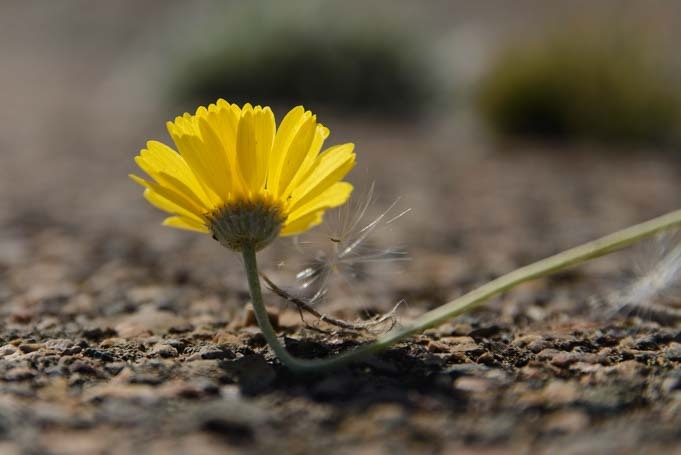 In one spot, Mark discovered a lone yellow wildflower looking up and opening its petals to the sun. A tiny wildflower looks up from the ground. 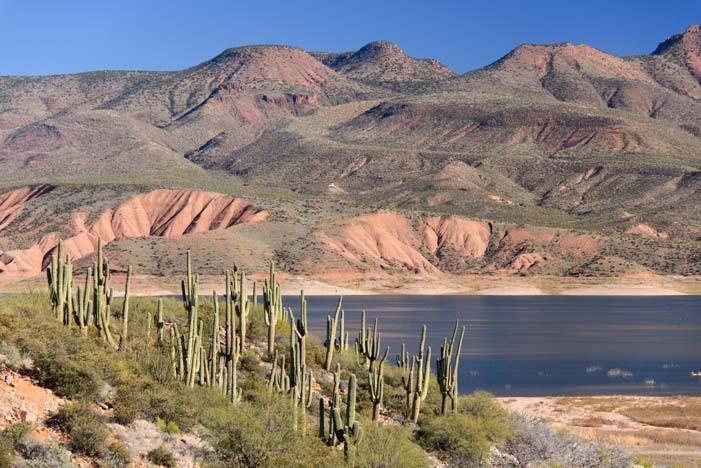 Roosevelt Lake is an enormous lake whose southern shore runs for some 50 miles. In many places the saguaros were all standing around in groups. They seemed to be conversing in the morning sun. I wonder if they were sharing memories of a time when this lake was just an unpredictable river. 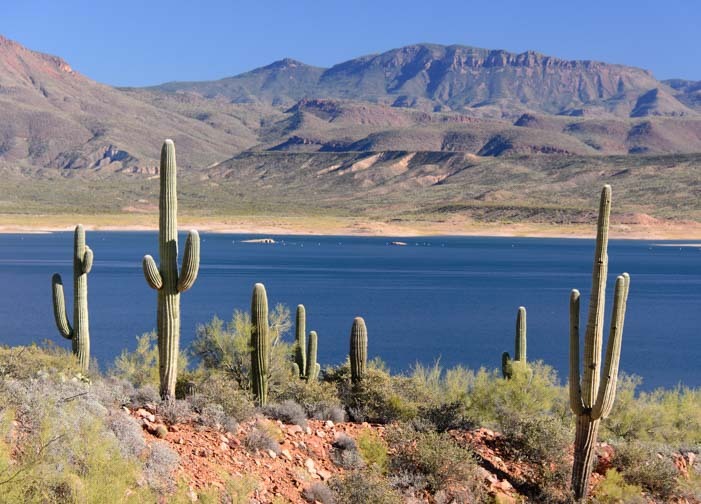 Saguaro cactus commune in the morning sun by the lake. 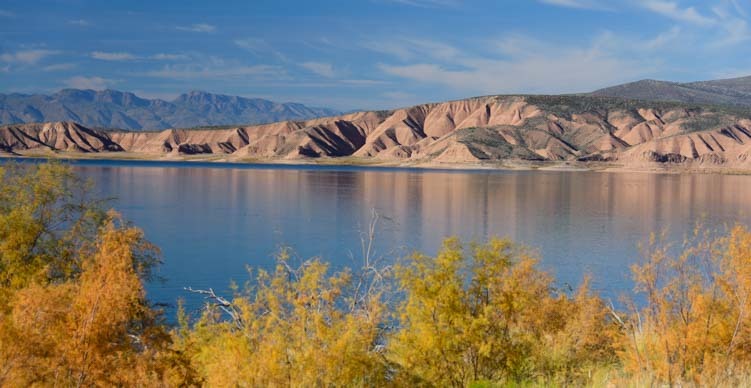 On the far shore of the lake there were rolling hills of red sand. What a beautiful sight! 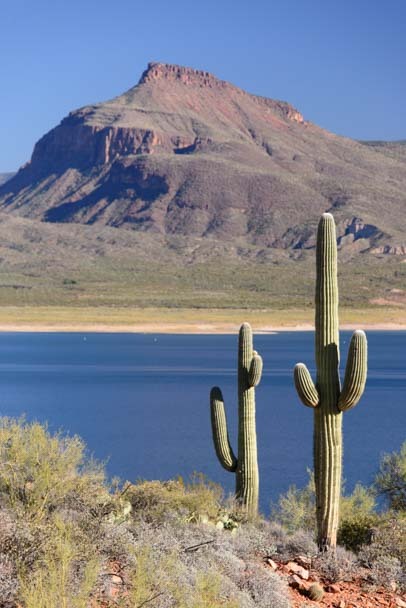 Saguaros are the sentinels of the desert, and they seemed to be keeping an eye on things at the lake. Meanwhile, down by the water’s edge, campers had set up their RVs right on the beach. What a fantastic place to camp! 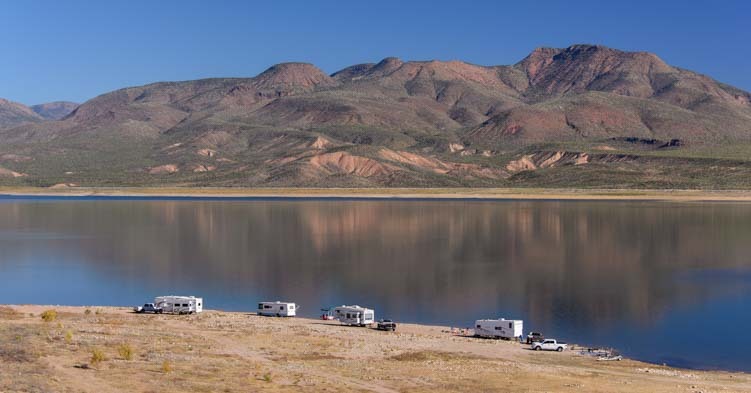 Unfortunately, several of the boondocking areas along Roosevelt Lake were closed. We were told the closure was temporary, from mid-November to mid-February, and it was to protect the Canada geese. Apparently the powers that be have never been to the green grassy areas in nearby Scottsdale where the Canada geese are thriving! Needless to say, there wasn’t a goose to be found. 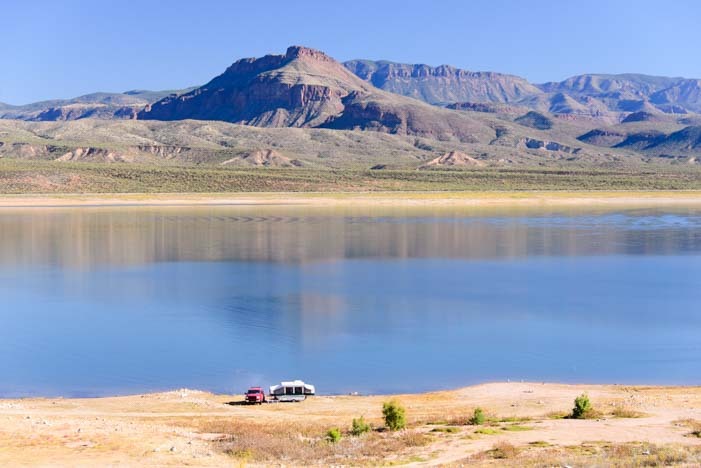 But there were two spots open, and RVers were enjoying beautiful waterfront campsites with views to die for. An Arizona sunset at the lake. 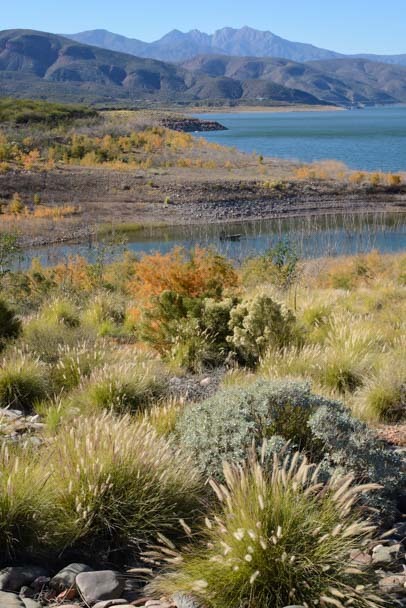 For RV travelers who want to experience the Sonoran Desert in the peak of autumn glory, the season is the last two weeks of November, and the colors can be found anywhere there’s water. 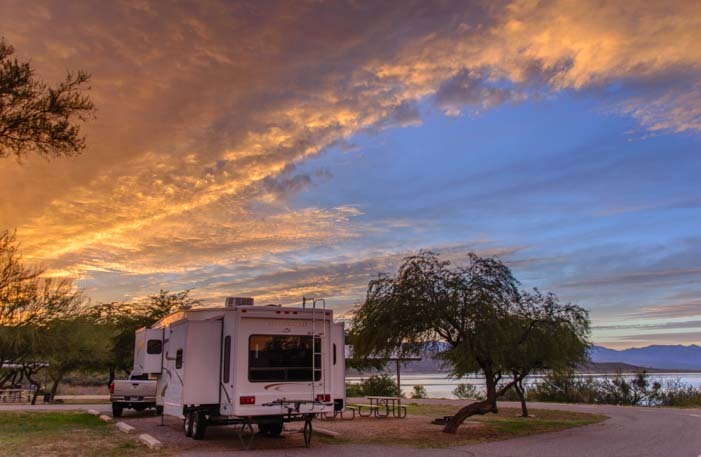 Roosevelt Lake has hundreds of dry camping campsites in several different formal campgrounds as well as boondocking available along the lake. 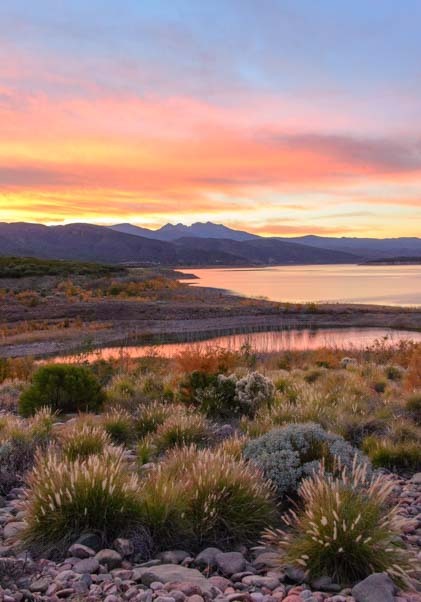 You need to get a Tonto Pass ($6 per night ($3 for seniors)), and they are sold at the convenience stores in the communities that lie at the eastern and western ends of the lake. Beginning in January, 2016, the rates will increase to $8 per night ($4 for seniors). 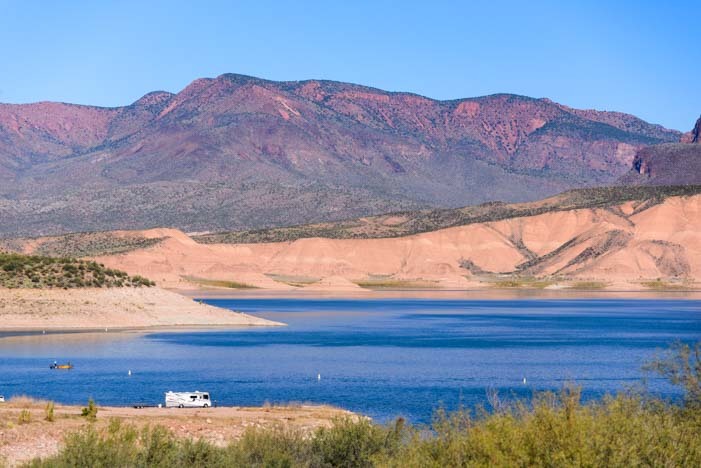 There are flush toilets and hot showers at the Windy Hill and Choilla campgrounds. 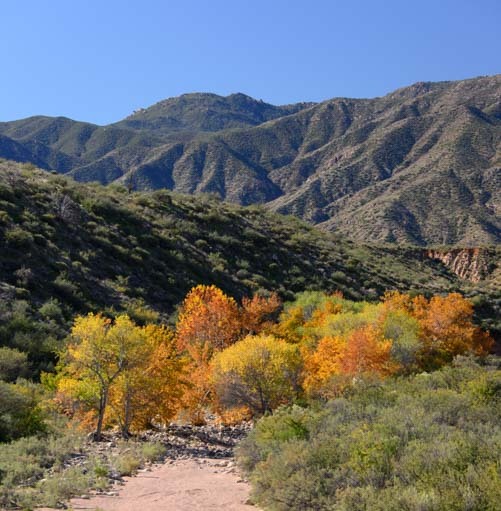 This entry was posted in Arizona and tagged Arizona, Arizona Central, Arizona Phoenix East, Desert and Water, Fall Foliage, New, Travel, USA, WP Travel by Roads Less Traveled. Bookmark the permalink. Gorgeous pictures. Enjoying following your adventures while I plan for ours sometime in the near future. Thanks, Rachael. It’s all here waiting for you!! Very funny!! All those months, days and hours will pass really quickly and you’ll be out here before you know it. Have fun with the whole process — your escape is right around the corner!